Borahard Lodge in Newbridge, Co Kildare sleeps 6 people. Close to the Curragh. 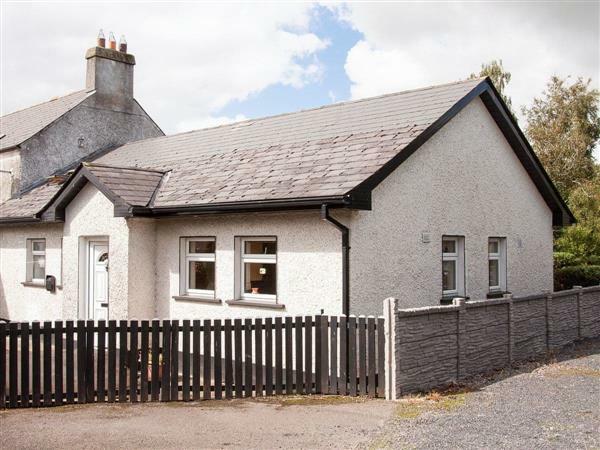 Semi detached cottage for 4/6. Borahard Lodge is partially wheelchair accessible, set in the heart of thoroughbred country, with Dublin only 20 miles. This pleasant property has a bright, airy living area where you can plan your day out at the races or the golf course. Early mornings often see strings of race horses across the Curragh plains 2 miles away and many major golf tournaments are held at the K club. Equestrian events include racing at Naas, Punchestown and Curagh. Motor racing at Mondello, fishing at Robertstown, golf nearby. This part of Kildare is also a place of ancient towns, villages, ruined monasteries, Round Towers, canals, stately homes and gardens. Blessington Lakes and the Wicklow mountains are an easy drive. Indoor bowling and children’s indoor activity centre, 0.6 miles. Shop, pub and restaurant 0.5 miles. All on ground floor: Living/dining room/kitchen. 2 bedrooms: 1 double with en-suite shower room and toilet, 1 twin, both with additional single. Bathroom with shower over bath and toilet. NSH and electric by meter reading. Bed linen and towels included. Video. CD. Washing machine. Tumble dryer. Dish washer. Enclosed patio with furniture. Parking (2 cars). Holidays at Borahard Lodge run from Saturday to Saturday. For a better idea of where Borahard Lodge is, you can see Borahard Lodge on the map below. Do you want to holiday near Borahard Lodge (W31032), you can see other cottages within 25 miles of Borahard Lodge; have a look to find your perfect holiday location.